I can’t knock the Tinder service. I love Tinder. If you don’t know what Tinder is, then think of it as Hot or Not. If two people mark each other as Hot, then a connection is made. From there, you can chat, flirt, and set up a date if you so choose. All of this action took place on your phone, but thanks to an update, you can now Tinder on your Android Wear smartwatch. 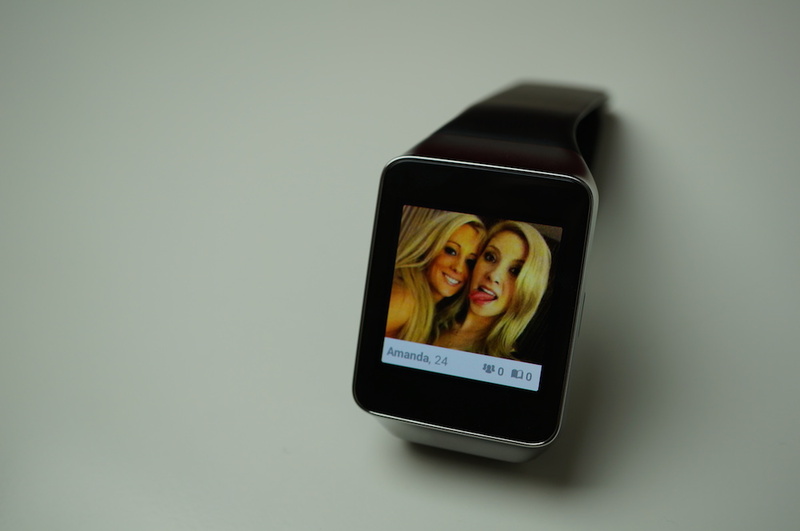 Dating on your smartwatch. Welcome to the future, folks. From there, you will see a basic UI, complete with pictures, snippets from a user’s profile, and can receive “Match” notifications all on your wrist. To try it out for yourself, go grab the update through Google Play. And if you happen to meet the love of your life on there, please invite me to the wedding, because I love to party.